After a glorious 12 hour sleep I was all freshened up to start another long day 5 of NXNE. The first stop of the day was at Sneaky Dee's. Audio Blood and White Girls records put together such an amazing lineup for their showcase. 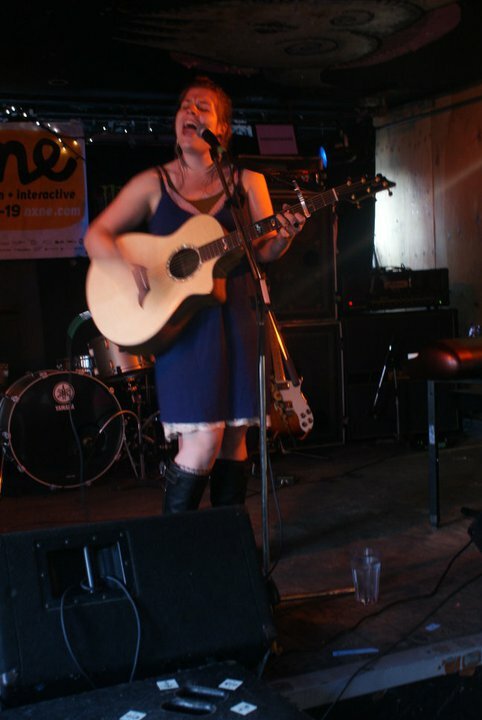 When I got in; a Portland based but Alaskan native, Emma Hill was just about to start her solo acoustic performance. She healed the audience with her beautiful and strong voice. It was a perfect way to start my day. As she sang each song, I felt as if she was sitting next to me; telling me the story of her life. When she performed 'Keeper'; it triggered those same emotions from the past. I soaked up every word; goose bumps caressed my skin; I breathed in every note. It was such a special song. As I left Sneaky Dee's to catch up with some other acts at Toronto's Legendary Horseshoe Tavern; I couldn't stop humming her melodies all the way there - and all the way home.